Personal tuition offers a tailor made way of improving your dance routines and techniques, or if you are just a little nervous at the beginning. 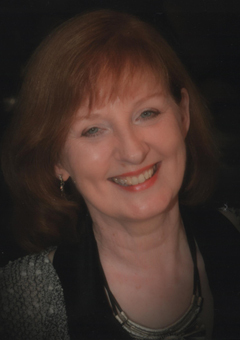 Ann has been dancing from an early age, and is a former British, UK and West European Dance champion, with a raft of titles across the whole of the UK. She was also placed 3rd in the World Senior Modern Championships, and is a Carl Alan Award nominee. She has appeared on television on programmes such as Memory Masters, and has performed in dance cabarets at various venues throughout the UK. After a successful competitive career dancing in the UK and also representing the UK in competitions overseas, she is now professional and in addition to teaching, is Ballroom Consultant at the Dance With Passion Studio, London Road, Preston. She also adjudicates competitions in the UK and trains and coaches at competitive level as well as teaching Beginners upwards. In November 2009, she was involved with the Marie Curie Dance day at the Midland Hotel, Manchester, in which hundreds of people learnt to dance to support this worthwhile cause. She is now turning her attention to private tuition, Ballroom Lectures and Workshops, giving Workshops at the Dance Holiday Breaks run by Dance with Passion in Preston. After 50 years of dancing does she ever tire of it – absolutely not! Her enthusiasm is as high now as ever and she loves to see people learning, and more importantly, enjoying their dancing.